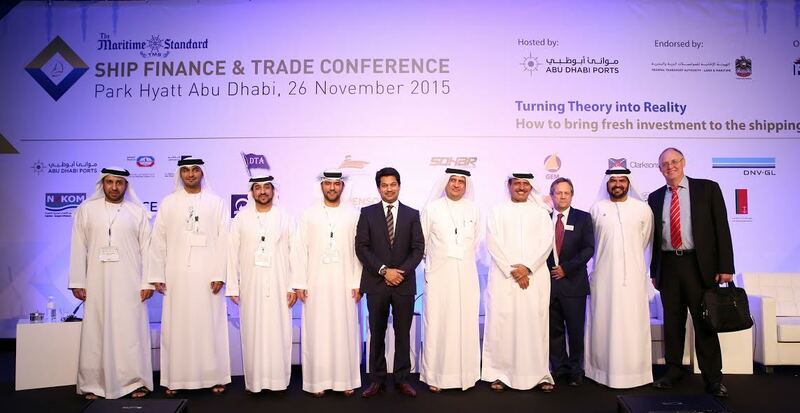 The second annual The Maritime Standard Ship Finance and Trade Conference will take place in Abu Dhabi on November 14th. An exciting new venue has been confirmed with the event now being hosted at the five star Sheraton Abu Dhabi Hotel & Resort, offering delegates and guests plenty of networking opportunities with leading players in the market. The theme of this year’s conference is “Beating the downturn; investing to be ready for the upturn.” A top class panel of speakers is being assembled to address some of the key issues facing the industry as it seeks to chart a course for long term recovery. Confirmed speakers to date include Capt. Mohamed Juma Al Shamisi, Abu Dhabi Ports; Khamis Juma Buamim, Gulf Navigation; Ali Shehab; Kuwait Oil Tanker Company; Rajiv Agarwal, Essar Ports; Andrew Baird of Watson, Farley & Williams; Marcus Machin, Tufton Oceanic (Middle East) Limited and former Greek finance minister, Petros Doukas. Three separate conference sessions will deal with a number of themes, including regional trade patterns, ship finance and ports and shipping. The event will be rounded off by presentations regarding specific case studies illustrating how the financial sector has helped unlock the potential of regional shipping and ports operators to the benefit of trade and economic growth. Based on the very positive experience of the inaugural event in 2015, which was hailed as a major triumph, by attendees and speakers alike, the conference is sure to be extremely high profile and informative. The Conference is receiving high level support from Abu Dhabi Ports, while other sponsors include DTA, KOTC, Sohar Port & Freezone, National Marine Dredging Company; DNV GL, Essar Ports, Dubai Maritime City, Sharjah Ports Authority, Fichte Legal Consultants and Islamic P&I Club. The not-to-be-missed TMS Awards recognizes and celebrates success in the shipping, ports and related sectors across the Middle East and Indian Subcontinent. The Awards are held under the patronage of H.H. Sheikh Ahmed bin Saeed Al Maktoum, president of the Dubai Civil Aviation Authority and chairman, Emirates Airlines and Group. The inaugural event was held at the iconic Atlantis Ballroom, on The Palm with PR guru, journalist and writer Alastair Campbell as master of ceremonies. One of the most famous football players of all time, Ruud Gullit hosted The Maritime Standard Awards in 2015. The 2015 Awards were attended by over 600 guests from across the world, including senior figures from ports and shipping companies and public bodies in the region. As well as over 19 general awards categories, the TMS team presents a number of individual special achievement awards recognizing the contributions made by high profile industry leaders and innovators. The Awards attract the region’s elite, including chairmen, chief executives and directors from all of the leading shipping companies, ports, terminal operators and maritime companies and organizations. The Master of Ceremonies for the 2016 Awards will be former Awards winning CNN Anchor, Jim Clancy.